Does policy offer shelter from legal storm? 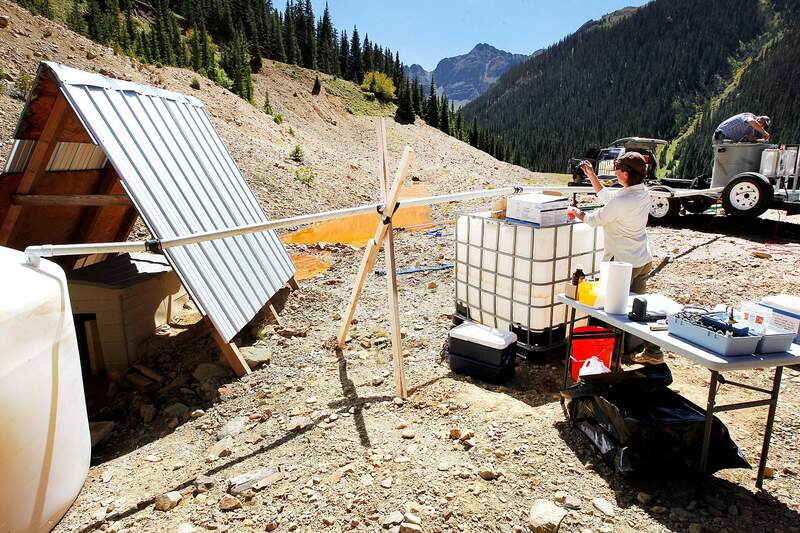 Consultants from Waste Water Management set up a water-treatment experiment based on an electrochemical process near the opening of the American Tunnel in the Gladstone ghost town north of Silverton. Zinc, iron, copper, lead, cadmium, manganese and mercury are all being released from old mines into Cement Creek, and the heavy metals eventually reach the Animas River . Animas River Stakeholders Group members will hear reports and updates on mine-waste cleanup and water quality at their meeting Thursday in Silverton. But the agenda lists nothing about a topic dear to their hearts  ironclad assurance that they cant be dragged into court down the road for taking on projects that involve direct water-quality improvement projects in a San Juan County historic mining district. Nat Miullo, revitalization and clean-energy adviser in Environmental Protection Agency Region 8, said the stakeholders know theres no absolute certainty in third-party lawsuits. But were very comfortable in being able to give assurances that we can craft an administrative order that will help with long-term protection, Miullo said. The stakeholders, since they formed in 1994, have completed at least a dozen mine-waste projects around Silverton. But the work involved burying or removing heaps of tailings and other waste, so rain and melting snow cant leach toxic metals into creeks and ultimately into the Animas River. But they havent treated toxic water draining from abandoned mines because good Samaritans, as volunteer organizations are known, would be liable under federal environmental law for any damages or residual waste. 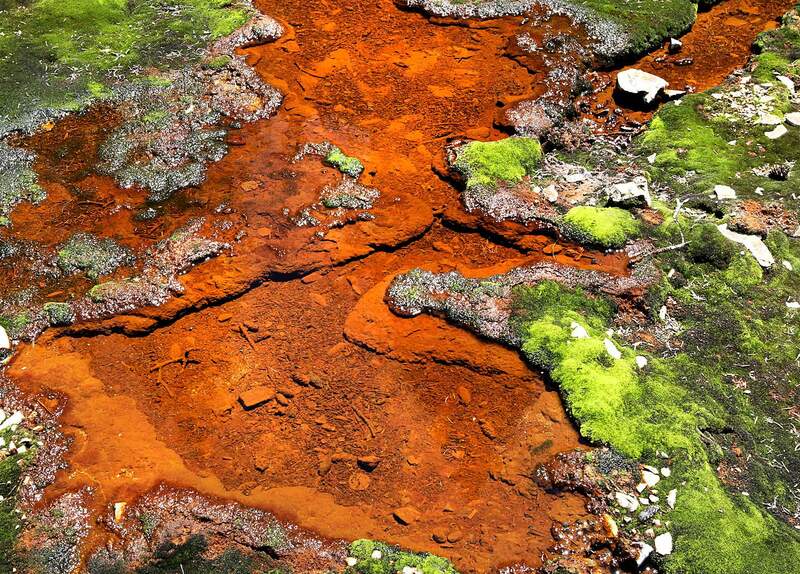 In December, the EPA reinterpreted its policy, easing restrictions. Under the new guidelines, good Samaritans dont need a Clean Water Act permit during or after a project. They also can be exempt from responsibility for point-source pollution  heavy-metal crud coming from a specific place such as a mine shaft. The main point is the EPA definition of a good Samaritan as a nonoperator (of a mine), said Peter Butler, one of three coordinators of the group. The guidance is not regulation. Its not law. An understanding or agreement with the EPA on the definition of a nonoperator isnt a good defense in a trial, Butler said. 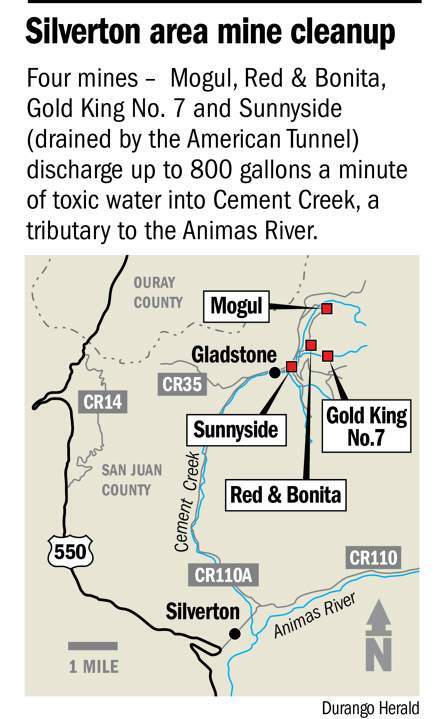 Treating or eliminating the drainage of four mines in the Gladstone area north of Silverton as the stakeholders want to do, would go a long way to improve water quality. Bill Simon, another stakeholder coordinator, said all action is on hold. Bruce Stover, director of active and inactive mines at the Colorado Division of Reclamation, Mining and Safety, said the office is talking to the EPA about participation with good Samaritans in mine cleanup. Paul Frohardt, administrator of the Colorado Water Quality Control Commission, is of a similar mind. Frohardt said a possible solution would be to allow an active cleanup permit to remain in effect. Miullo said the agency is open to proposals. Were confident that there are mechanisms within this guidance to help good Samaritans qualify to move forward and do good work, Miullo said. At one time, it was feared the EPA would designate all of San Juan County a Superfund site and direct environmental cleanup itself. But given community opposition and the remediation projects of stakeholders, the agency backed off last year in favor of a collaborative approach. Sen. Mark Udall, D-Colo., who pushed the EPA to make it easier for good Samaritans to carry out cleanup projects without fear of legal attacks, said in an email statement that hes keeping his eye on the situation. At my request and urging, the EPA developed a new policy last year designed to expand the ability of good Samaritans to clean up abandoned mines in Colorado by limiting the risk theyd get sucked into lawsuits, Udall said. I am confident this new policy gives good Samaritans the assurances they need to clean up additional abandoned mine sites.